Therapeutic potential of cannabinoids in trigeminal neuralgia. “Trigeminal neuralgia is a disorder of paroxysmal and severely disabling facial pain and continues to be a real therapeutic challenge to the clinicians. While the exact cause and pathology of this disorder is uncertain, it is thought that trigeminal neuralgia caused by irritation of the trigeminal nerve. This irritation results from damage due to the change in the blood vessels, the presence of a tumor or other lesions that cause the compression of the trigeminal root. The pain of trigeminal neuralgia is characterized by unilateral pain attacks that start abruptly and last for varying periods of time from minutes to hours. The quality of pain is usually sharp, stabbing, lancinating, and burning. The attacks are initiated by mild stimuli such as light touch of the skin, eating, chewing, washing the face, brushing the teeth, and exposure to wind. Although antiepileptic drug therapy may be beneficial in the treatment of trigeminal neuralgia, up to one-half of the patients become refractory or intolerant to these medications. At present there are few other effective drugs. In cases of lacking effect after pharmacotherapy, surgical options may be considered. Currently there is growing amount of evidence to suggest that the psychoactive ingredient in cannabis and individual cannabinoids may be effective in alleviating neuropathic pain and hyperalgesia. Evidence suggests that cannabinoids may prove useful in pain modulation by inhibiting neuronal transmission in pain pathways. “In addition to the well-known palliative effects of cannabinoids on some cancer-associated symptoms, a large body of evidence shows that these molecules can decrease tumour growth in animal models of cancer. They do so by modulating key cell signalling pathways involved in the control of cancer cell proliferation and survival. In addition, cannabinoids inhibit angiogenesis and decrease metastasis in various tumour types in laboratory animals. In this review, we discuss the current understanding of cannabinoids as antitumour agents, focusing on recent discoveries about their molecular mechanisms of action, including resistance mechanisms and opportunities for their use in combination therapy. “Cannabis species have been used as medicine for thousands of years; only since the 1940s has the plant not been widely available for medical use. However, an increasing number of jurisdictions are making it possible for patients to obtain the botanical for medicinal use. For the cancer patient, cannabis has a number of potential benefits, especially in the management of symptoms. Cannabis is useful in combatting anorexia, chemotherapy-induced nausea and vomiting, pain, insomnia, and depression. Cannabis might be less potent than other available antiemetics, but for some patients, it is the only agent that works, and it is the only antiemetic that also increases appetite. Inhaled cannabis is more effective than placebo in ameliorating peripheral neuropathy in a number of conditions, and it could prove useful in chemotherapy-induced neuropathy. A pharmacokinetic interaction study of vaporized cannabis in patients with chronic pain on stable doses of sustained-release opioids demonstrated no clinically significant change in plasma opiates, while suggesting the possibility of synergistic analgesia. Aside from symptom management, an increasing body of in vitro and animal-model studies supports a possible direct anticancer effect of cannabinoids by way of a number of different mechanisms involving apoptosis, angiogenesis, and inhibition of metastasis. Despite an absence of clinical trials, abundant anecdotal reports that describe patients having remarkable responses to cannabis as an anticancer agent, especially when taken as a high-potency orally ingested concentrate, are circulating. 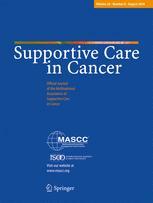 “Cannabinoid Integrative Medicine In Oncologic Palliative Care. “Neuroblastoma (nbl) is one of the most common solid cancers in children. Prognosis in advanced nbl is still poor despite aggressive multimodality therapy. Furthermore, survivors experience severe long-term multi-organ sequelae. Hence, the identification of new therapeutic strategies is of utmost importance. Cannabinoids and their derivatives have been used for years in folk medicine and later in the field of palliative care. Recently, they were found to show pharmacologic activity in cancer, including cytostatic, apoptotic, and antiangiogenic effects. Both compounds have antitumourigenic activity in vitro and impeded the growth of tumour xenografts in vivo. Of the two cannabinoids tested, cbd was the more active. Treatment with cbd reduced the viability and invasiveness of treated tumour cells in vitro and induced apoptosis. Moreover, cbd elicited an increase in activated caspase 3 in treated cells and tumour xenografts. “The Cannabis sativa plant has been used to treat various physiological and psychiatric conditions for millennia. Current research is focused on isolating potentially therapeutic chemical constituents from the plant for use in the treatment of many central nervous system disorders. Of particular interest is the primary nonpsychoactive constituent cannabidiol (CBD). Unlike Δ9-tetrahydrocannabinol (THC), CBD does not act through the cannabinoid type 1 (CB1) receptor but has many other receptor targets that may play a role in psychiatric disorders. Here we review preclinical and clinical data outlining the therapeutic efficacy of CBD for the treatment of motivational disorders such as drug addiction, anxiety, and depression. The role of carbon monoxide on the anti-nociceptive effects and expression of cannabinoid 2 receptors during painful diabetic neuropathy in mice. “The activation of cannabinoid 2 receptors (CB2R) attenuates chronic pain, but the role played by carbon monoxide synthesized by the inducible heme oxygenase 1 (HO-1) on the anti-nociceptive effects produced by a selective CB2R agonist, JWH-015, during painful diabetic neuropathy remains unknown. Prohedonic Effect of Cannabidiol in a Rat Model of Depression. “Accumulating evidence suggests that cannabidiol (CBD) may be an effective and safe anxiolytic agent and potentially also an antidepressant. “The purpose of the study was to better understand why patients with history of head and neck cancer (HNC) treated with radiotherapy are using medical marijuana (MM).